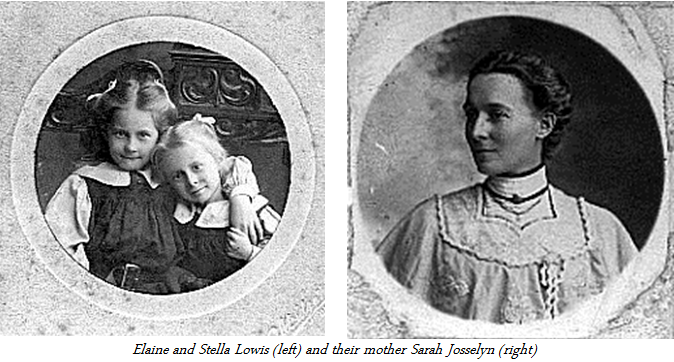 Sarah Josselyn Man was born on 26 April 1872 at Lawn Cottage, Halliford, Middlesex, the daughter of Edward Garnet and Catherine (Matthews) Man. She was baptized on 19 June at St. Mary The Virgin, Sunbury-on-Thames, Middlesex. She married Cecil Champain Lowis on 11 September 1894 at St. Stephen’s, Gloucester Road, London. Josselyn died on 18 January 1967 in London. Cecil was born on 30 June 1866 in Bengal, India. He died on 12 October 1948 at Godalming, Surrey. There is no identification on the back of the picture below except for ‘Ellesmere 1933’, but these are eight out of the nine children of Edward Garnet Man. Edward James Fowle Garnet Man, the eldest of E.G.M.’s children is standing left, standing next to him is Hubert Man and then Morrice (but not wearing his usual clerical collar). 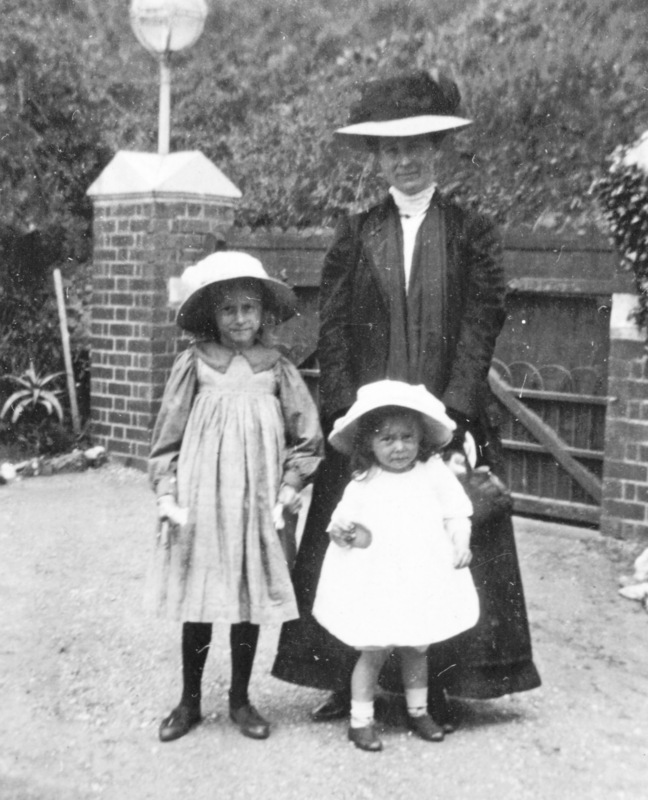 Seated from left to right are Sarah Josselyn, and then Beatrice and next is May Casson and the last seated on the right is Katherine Rosa Crosthwaite (Kitty). 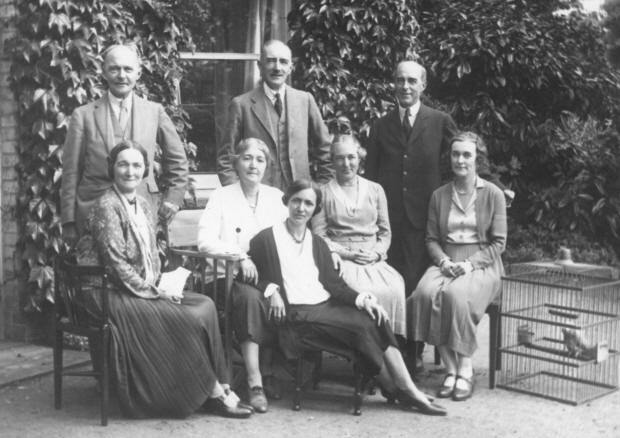 In the center seated on a stool is the youngest of Edward Garnet Man’s children Dorothy. The one sibling missing is Harry who was probably in Germany at the time. The parrot is George, at least they thought it was George until, at a very ripe old age, it laid an egg. Below is the interior of the Lowis home (Ellesmere) in Godalming with Josselyn seated at the far left.